Whether you’re a player, a parent, a possible volunteer, a possible team sponsor, a donor/contributor, or just a baseball lover, we’re anxious to talk with you about the Kiwanis Miracle League at Principal Park. Or “like” us and follow us on Facebook! And if you have an interest in one of our Kiwanis Miracle League board members speaking to your organization about the KML, please contact us. We’d love to tell your group more about our League and how we are changing lives through the simple game of baseball! Email or call us soon! Or contact any of our Angel Directors listed on a separate page on this web site. 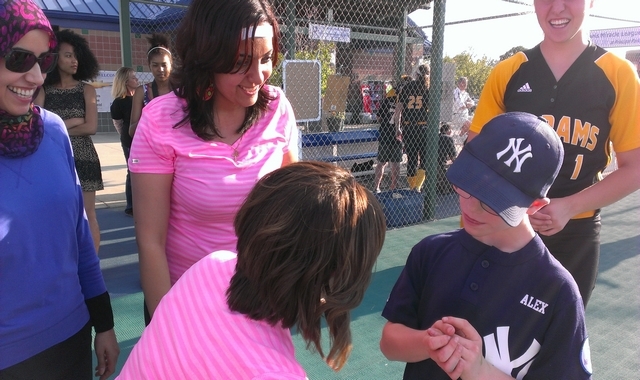 Or follow us on Facebook at www.facebook.com/KiwanisMiracleLeague. Be sure to “like” us too! Want to become a member of Kiwanis? There are multiple Kiwanis clubs around central Iowa–with one sure to fit your needs and busy schedule. Check out Des Moines Kiwanis at www.downtowndesmoineskiwanis.org or visit www.kiwanis.org to find a Kiwanis club in YOUR community.